The Endocrine Society is recognized as the world’s largest and most respected scientific and professional organization for endocrinologists. Our members see patients, present lectures to primary care physicians and other professionals, provide consultations to other specialties, teach and train the next generation of physicians, and publish in journals. In clinics, hospitals, private practices, and other institutions around the world, Society members address the full range of endocrine disorders, including: diabetes, obesity, thyroid disorders, osteoporosis, hypertension, pituitary disorders, growth hormone disorders, adrenal disorders, and infertility. Our marketing services can help you connect with the most influential thought leaders in endocrinology. The Corporate Liaison Board (CLB) forges a partnership between the Endocrine Society and senior executives in industry. 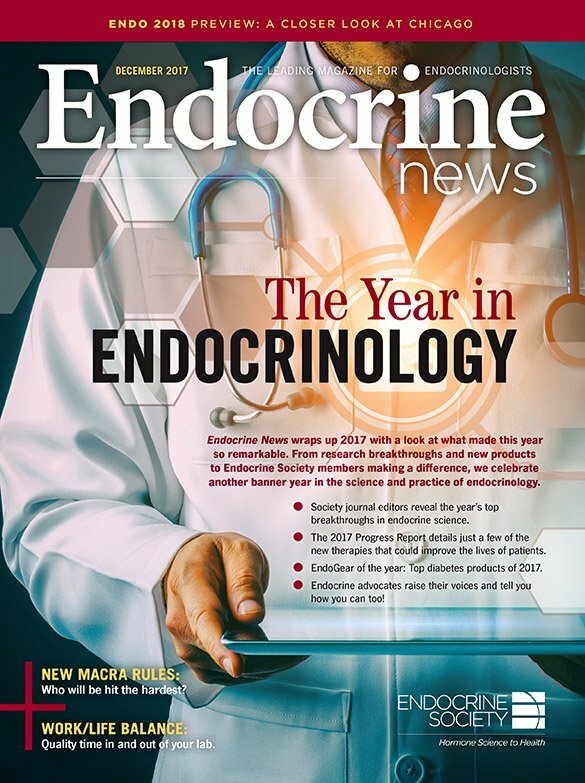 It is a unique consortium of thought leaders and stakeholders assembled to discuss ideas and goals for the future of endocrinology. EndoCares brings together many of the Society’s most recent strategic initiatives: addressing health disparities, serving as a global partner and champion of the field, and fostering the next generation of endocrinologists. Through EndoCares, participants will learn skills to help them thrive, manage their diabetes, and have shared experiences with other patients. EndoCares will also enable Society members from around the world to engage in peer-to-peer learning experiences that result in enhanced understanding of treating diabetes patients and building bridges between medical global professionals. Through the Global Leadership Academy, we provide leadership training to early- and mid-career endocrine scientists and practitioners so that they can be leaders in the field, their institutions and within the Society.